Pan is sired by Ch. Los Perritos Luigi ROM ex Ch. Borgia's Evita Of Romanijo's Joy ROMX. He was born February 24, 1999. 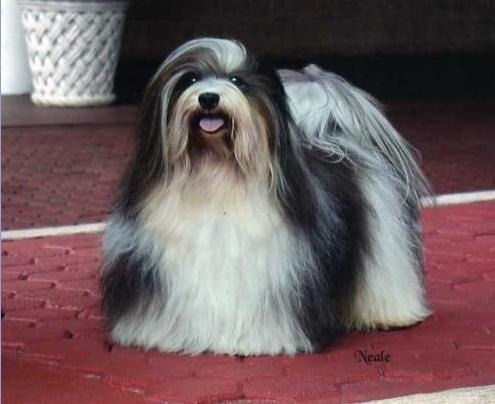 Bred and owned by Lynn Nieto, Pan has holds many national records as a show dog and sire.